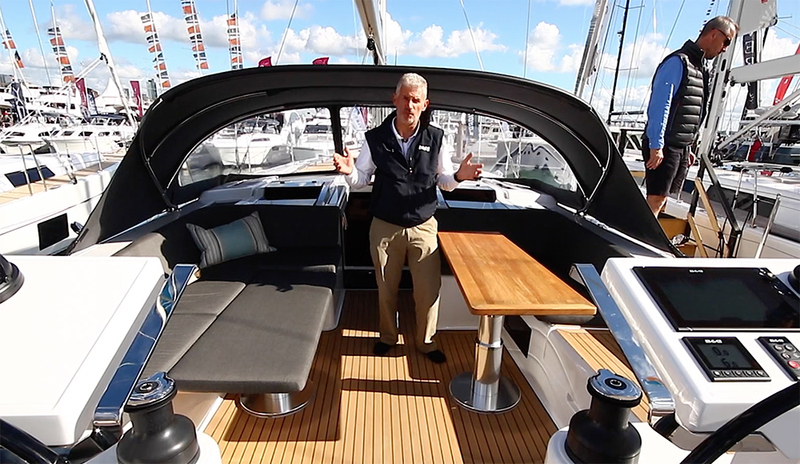 The German builder of Hanse, Dehler, Sealine, and Moody boats emerged from the recession with a strengthened portfolio of brands. The weather is cool and gray on this day in Germany’s most northeastern state, Mecklenburg-Western Pomerania. A stiff westerly breeze is chasing deep clouds across the sky and a battery of colorful flags by the main gate on Ladebouwer Chaussee are snapping their greeting in a staccato-rhythm: Welcome to Greifswald. 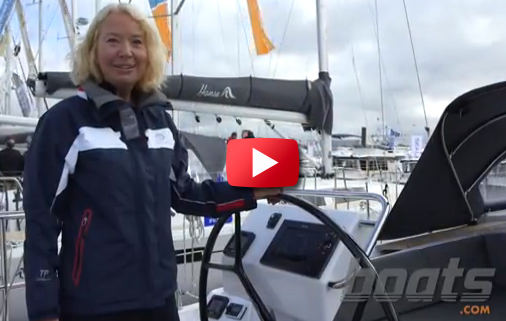 Welcome to Hanse Yachts. In the picturesque Hanseatic town on the banks of the river Ryck that empties into the Bay of Greifswald and the Baltic Sea a few miles away, ships and boats have been built for centuries. Hanseyachts AG, Germany's second-largest manufacturer of sports boats, chose a place with a long tradition in the shipbuilding trade. Currently around 500 yachts built are built here each year, about 65 per cent sail (under the brands Hanse, Dehler, Moody and Varianta), while the rest are powerboats (Sealine and Fjord). 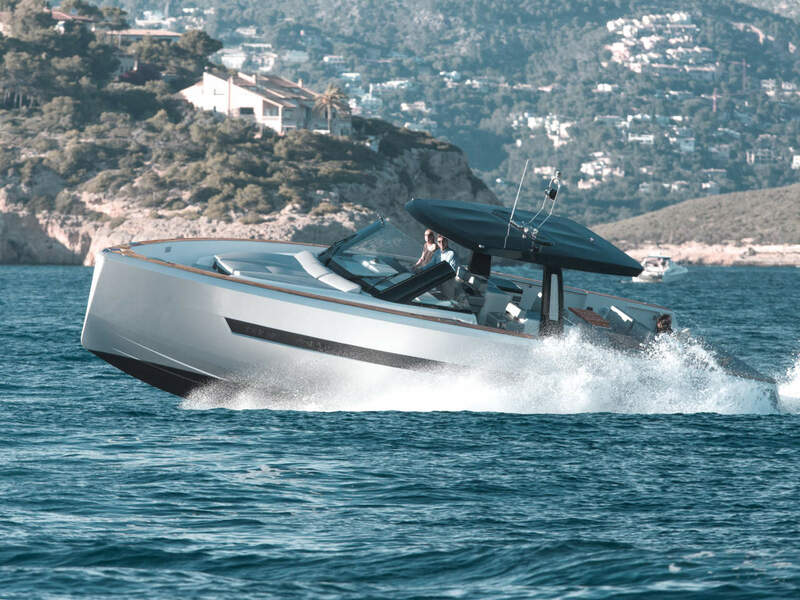 It’s a wide range the company has built up over the past few years, with a focus on its core business, the manufacture of sailing yachts, but also expansion in the powerboat market, which is fueling hopes for further growth. 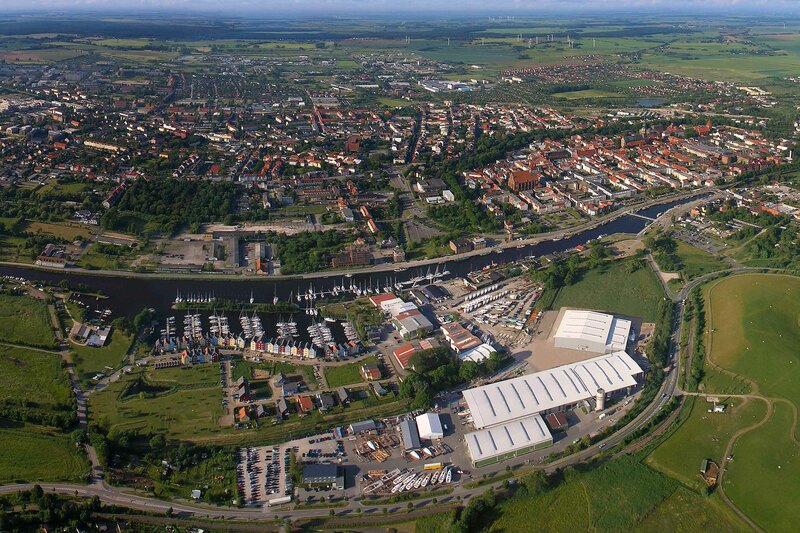 View from above: Hanse factory, the River Ryck and the city of Greifswald. Photo: Hanseyachts. The assembly line of mid-sized Hanse sailing yachts . 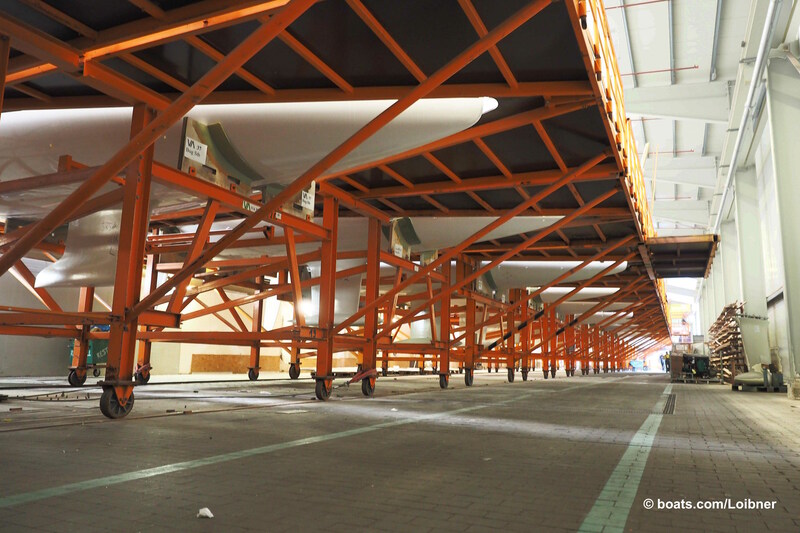 Walking across the premises, the variety of the products being built here is obvious: a Hanse is transferred by Travelift onto a flatbed truck, while others are ready to be picked up. Between the halls two Moody DS54 deck saloon yachts are getting their finishing touches, while down in the harbour, within sight of the traditional working boats that are docked here, the two brand new Hanse 675s are prepared for delivery. "The advantage of being near the water is that owners pick up their new boat to combine the delivery with a holiday cruise”, explains press officer Florian Nierich. A stroll through the assembly halls reveals how modern production boat building works, following the principle of Lean Manufacturing. Supplies are small, trips are short and boats are worked on in different areas depending on their size and complexity. Much is automated, such as painting the wood parts for the interior, but also surprisingly much is still done by hand, such as polishing delicate paint surfaces, drilling of screw holes in the steel frames of port holes or applying the masking tape to curved and oblique edges with the help of a hot iron. Notably present all over the shop floor are labeled containers for waste separation and recycling and to collect discarded wood, which is used as heating material. 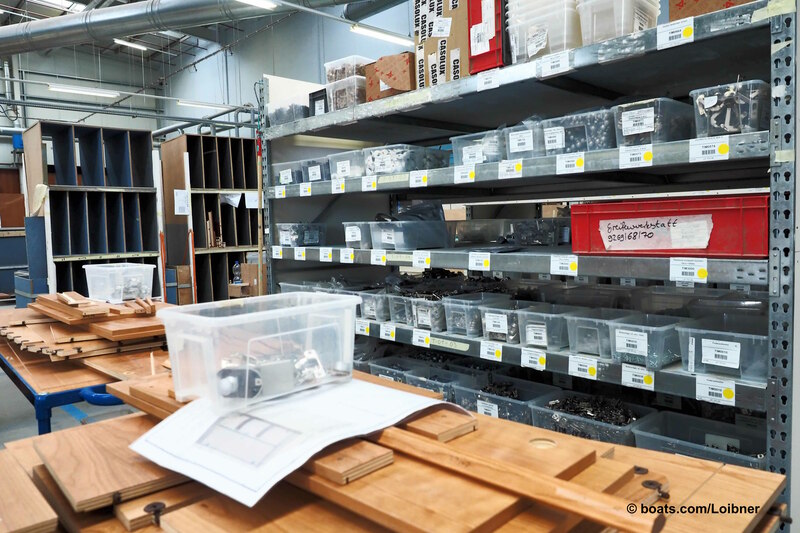 Lean manufacturing requires clean and organized shelves with parts sorted by bin number. 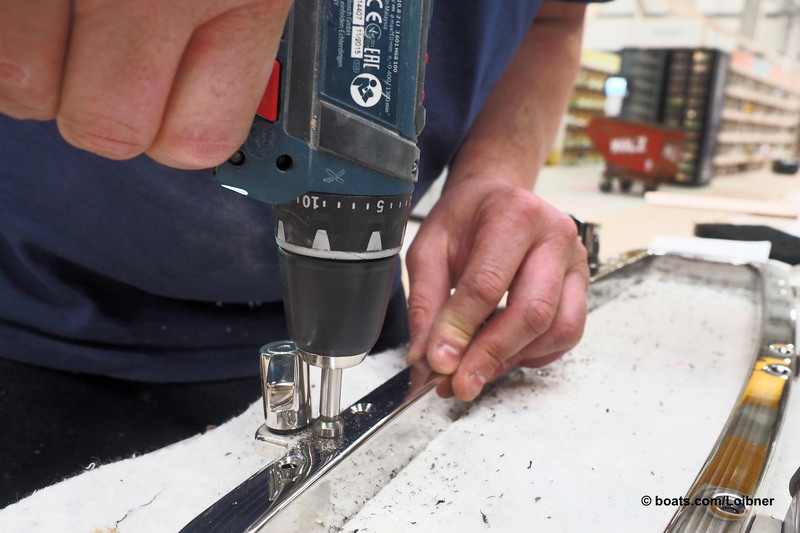 Drilling screwholes into a stainless steel frame of an opening port is done by hand. 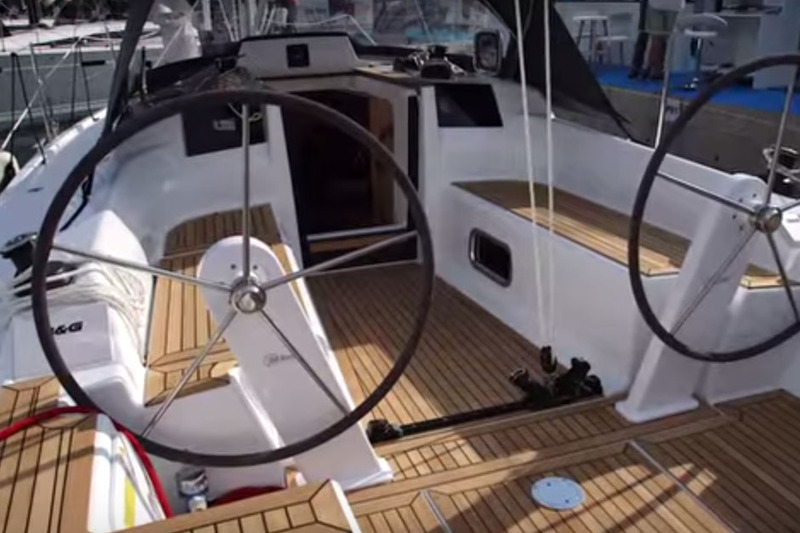 Once the interior is completely installed the deck is fitted to Hanse’s sailing yachts. Hanseyachts currently employs around 1,200 people, including 750 in Greifswald, creating jobs in a region that has a challenged economy, which is why it attracts politicians such as Chancellor Merkel, who hails from this area and visited the factory before the last election. There is no need to worry about the supply of qualified labor at present, with 40 to 50 apprentices from the surrounding area in training. But the workforce is also international, as evidenced by signs that are written in both German and Polish. The border to Germany’s eastern EU neighbor is practically in Greifswald’s backyard. The company was founded by Michael Schmidt, who as a broker, boat builder, regatta sailor and visionary still remains one of the most dazzling figures in the German boatbuilding scene. “Schmiddel”, as he is called in the industry, already built boats in Poland more than 25 years ago, because bureaucracy was minimal before the country joined the EU In 1990, shortly after German reunification, Schmidt took over the Boots- und Reparaturwerft Greifswald, which goes back to the Buchholz shipyard which built traditional workboats. To make that archaic operation competitive, Schmidt had to invest. It was not a painless process either, owed to his brash personality and to the fact that a lot had to change in a very short time. However, he did have the necessary experience, because in the 1980s he built offshore racing yachts for the German Admiral's Cup team. In 1985, he skippered Rubin thus sharing in Germany's third victory at this once prominent offshore racing classic. For what seems an eternity, Schmidt also has been friends with Rolf Vrolijk, the partner in the well-known Dutch firm of Judel/Vrolijk & Co, which designs Hanse sailing yachts to this day, thus being responsible for shaping the typical Hanse look: a steep stem, a broad stern, an angular superstructure and uncompromising layout for single- or shorthanded operation, with a self-tacking jib and the corresponding arrangement of deck hardware, sheets, halyards and control lines. But the beginning of the Hanse story played out differently. 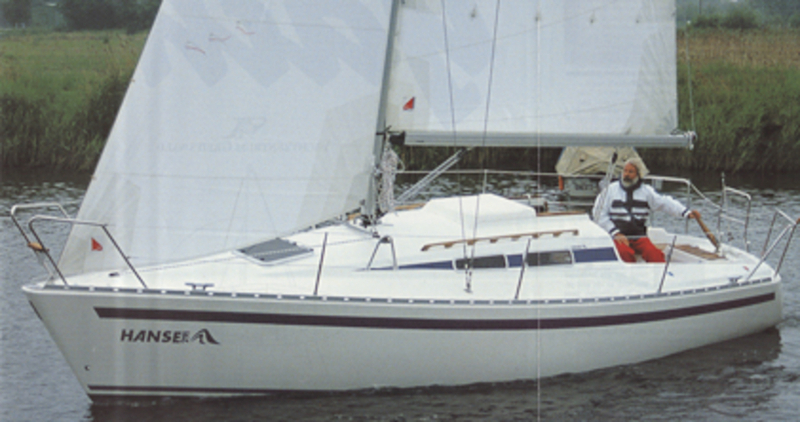 Schmidt started in 1993 with the Hanse 291, which was based on the Aphrodite 291, a design by two Scandinavians, Carl Baier and Bent Elgaard. Without false modesty, Schmidt set the ship on the Hanseboot in Hamburg and hung a hammer on the rail to emphasise the hammer price of 44.444 D-Mark (around 23,000 euros), which caused some turmoil within the industry and the public. But it wasn’t just the price that made headlines; these new boats also sailed convincingly, winning quite a few awards over the years. Back to the beginnings in 1993 when the hanse 291 was introduced with an unbelievable price tag of 44.44 German marks (about 23.000 Euros). Photo: Hanseyachts. The Hanse 292 won European Yacht of the Year in 1998, thus starting a successful run that continued until 2016 when the Hanse 315 won the title in the Family Cruiser class. Schmidt focused on rapid growth, but also on innovations such as light, stiff and osmosis-resistant laminates made from epoxy resin that raised the yachts’ performance potential, and an almost endless number of combinations of color choices for upholstery and the surfaces of the interior, which was given an almost loft-like appearance by designer Birgit Schnaase. Model lineup and production continued to grow at the sites Greifswald and in Goleniów, Poland where Hanse produces the hull shells, with another milestone in 2007 when the Hanse 630e was introduced, the largest production sailing yacht at the time with 19.20 meters in overall length. Around that time, Hanse also acquired the branding rights from Moody, a well-known English builder which made a name for itself with comfortable bluewater cruisers, and the Norwegian powerboat builder, Fjord. But these were almost sideshows during a banner year when Hanse became the first German sport boat builder to raise capital on the stock exchange. The offer (initially 33 euros per share) was over-subscribed several times. But then came the crash. 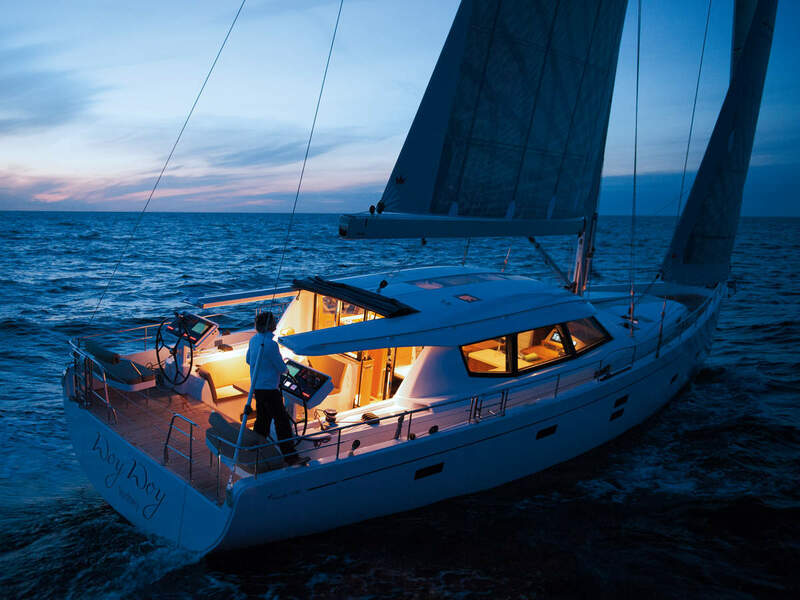 With deck saloon yachts like the Moody 54 DS, Hanse branched out into upmarket bluewater cruising boats. Photo: Hanseyachts. At the end of 2007 corporate communications hinted at the global slump that was about to hit the industry. Thanks to the acquisitions, the Hanse Group reported a record operating profit of 135 million euros for the 2007/2008 financial year, but the forecasts for the following year were revised downwards significantly. The talk was about layoffs and austerity measures, which were necessary because of the steep decline in sales, just as the firm had invested in the expansion of production capacities. Nonetheless, the company had the means to weather the downturn and to set up its business for a stable future. 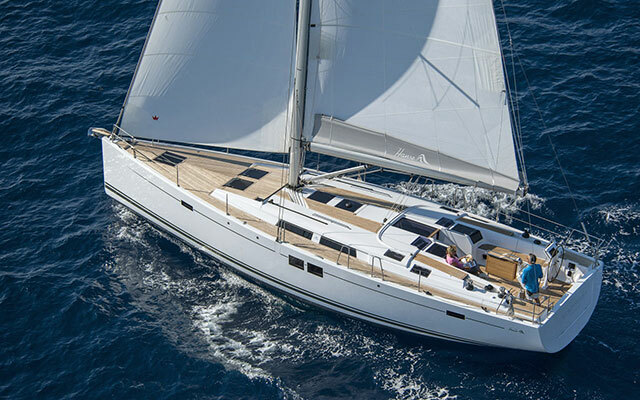 In 2009, Hanse took over Dehler, a reputable but bankrupt builder, whose operations were relocated from Freienohl to Greifswald, where Karl Dehler, the son of the company founder Willi, is now responsible for production. The Dehler brand has been revered by demanding sailors, who welcomed the rescue for sentimental reasons. However, Dehler's existence could only be sustained with fresh products that resonated with the audience. And indeed, the first design that Judel / Vrolijk & Co delivered for the revamped brand was a success: The flexible concept of the Dehler 38 was convincing as a cruising yacht, a racer/cruiser and also as a pure-bred regatta boat. Because the styling met the taste of the time and the performance lived up to Dehler’s name, this model won several international awards. 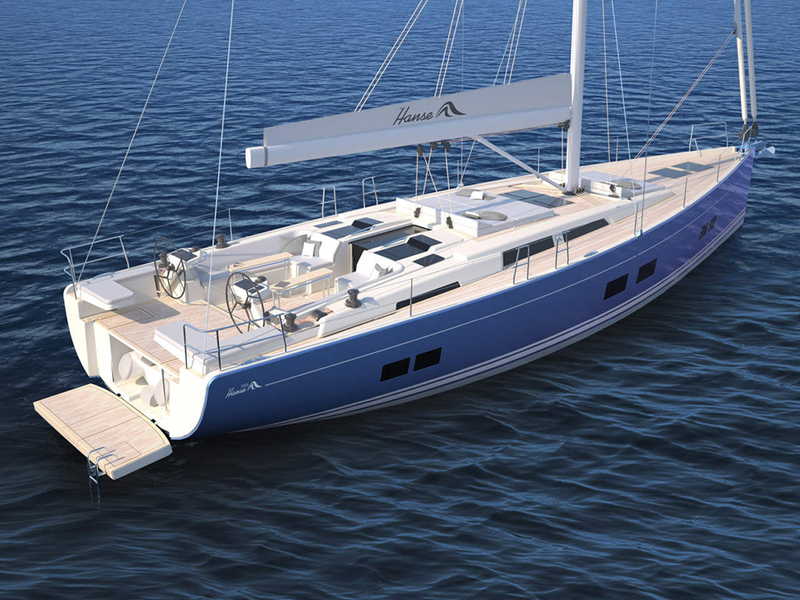 After 299 units, Hanse stopped producing the Varianta 18, which is now available from a third-party vendor. Photo: Hanseyachts. With the Dehler purchase, the popular Varianta brand also came into the possession of Hanseyachts. 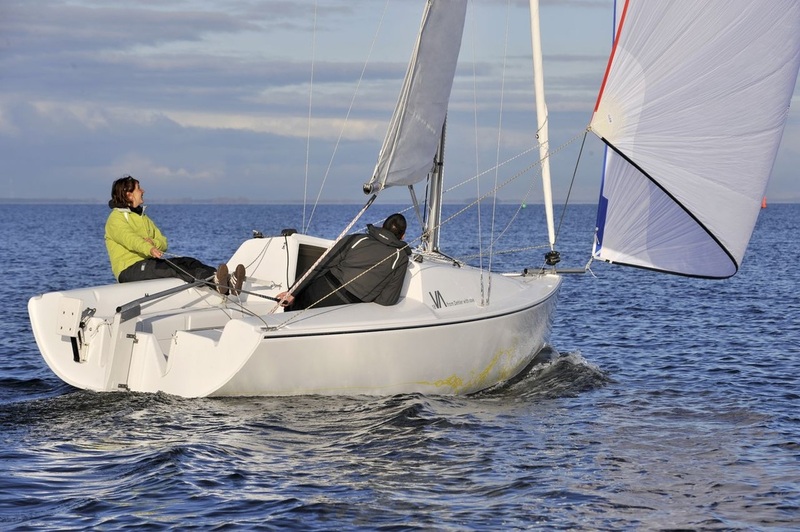 Variantas were recast as frugal versions of the Hanse 375 (as Varianta 37) or the Hanse 430 (as Varianta 44), and sold at attractive prices, but also with much simpler equipment. The young designer Henrike Gänß was tapped for the design of the Varianta 18, an update of Dehler’s successful “Rotkäppchen” (Red Riding Hood). The new boat with the modular concept was well received by young sailors and beginners as it was sold over the Internet and so-called “Points of Sail.” But after 299 units Hanse halted production, because sales decreased and because such a small boat could not be built cost effectively at their facility. The boat is still available, however, because a former dealer from Leipzig took over the molds and produced the hull in Estonia. Simultaneously, Hanse updated the cruising line while also introducing new products like an electric drive that is integrated into the rudder blade of the Hanse 315. This solution, marketed as E-Motion, was developed in cooperation with the electric-propulsion specialists at Torqeedo. New technology: Fjord powerboats are equipped with triple forward facing IPS Pod drives. Building sport boats in large numbers is not a romantic business, but a constant tug-of-war between pragmatics and aesthetics, between what is possible and what is sensible. It is a fine line for big production yards that have to churn out boats efficiently, while marketing them as individually as possible. If the times are good, the equation gets solved. However, if the economy coughs, boat builders catch a virus, from which they often recover slowly. 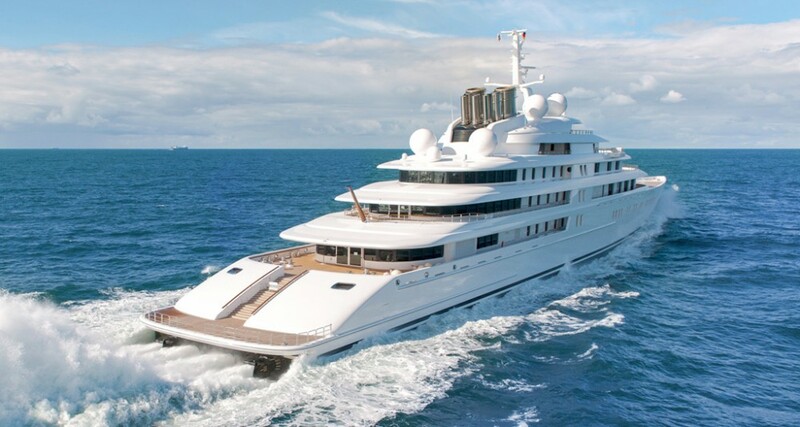 Just as it was the case in the financial and banking crisis mentioned earlier, which also precipitated Schmidt’s departure from Hanseyachts in 2011. “Finally, I get to play drums” Schmidt said about his plans at the time, which soon included boats again, too. Michael Schmidt Yachtbau is the name of his new venture, which builds large and luxurious sailing yachts such as the Brenta 80 right next door to the Hanse factory. Schmidt shares went to the investment company Aurelius, which brought a new management team to the starting line to turn the yard inside out with an eye on the future. Measures included: consolidating locations, optimising the purchasing process, pursuing a multi-brand strategy, utilising synergies in design and production, reorganizing sales and maintaining a continuous design language. Several years later, the results seem to justify the means. 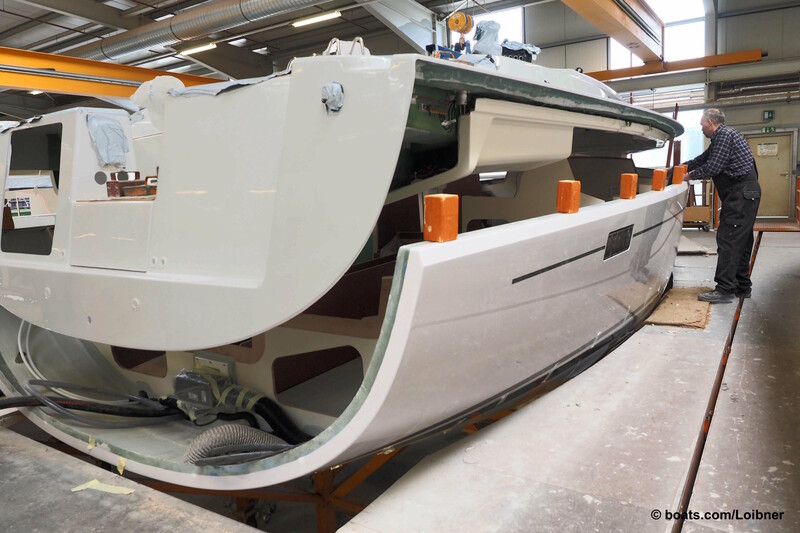 Molds and hulls for larger hulls such as the Hanse 675, Fjord 42, Sealine F530 are manufactured in Greifswald at a nearby site; the hulls of the smaller yachts are still produced in Poland near Szczecin and delivered to the main factory for finishing. Even if the economy is not yet ticking as it had been before the crash, Hansegroup’s revenues exceeded the magical mark of 100 million euros in 2014/2015 for the first time since 2007 and currently stand at just under 115 million euros. So Hanseyachts is building more boats (especially bigger ones) and is reporting profits again, but it is still has a firm grip on costs. Visitors will in vain look for flashy facilities as offices and conference rooms are more of the austere and functional kind. "Lean does not just apply to manufacturing," PR manager Nierich told me with a smile. But even without pomp, things appear to go well. This assumption is supported by those flatbed trucks that leave the premises with shiny new yachts in tow, rolling out the gate onto Ladebouwer Chaussee and past the colorful flags that are snapping in the wind, on the way to the next delivery date. 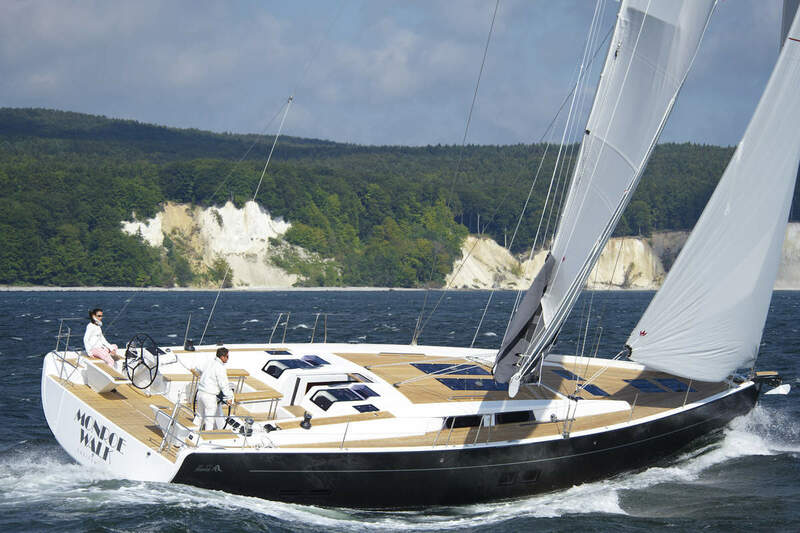 The design firm Judel Vrolijk & Co developed clean and modern lines for boats like the popular Hanse 575. Photo: Hanseyachts. 1993: Schmidt acquires rights and molds of Aphrodite 291 designed by Carl Baier from Sweden. That boat turned into the first Hanse, the model 291 which was exhibited for 44.444 D-Mark on the Hanseboot show in Hamburg. 2000: Beginnings of the individualization with owner choices for color, upholstery, wood, fabrics and decor. Serial production with a high degree of customization. 2013 Acquisition of the UK motorboat brand Sealine, introduction of the Varianta 37 (based on the Hanse 375) for 77,777 euros. 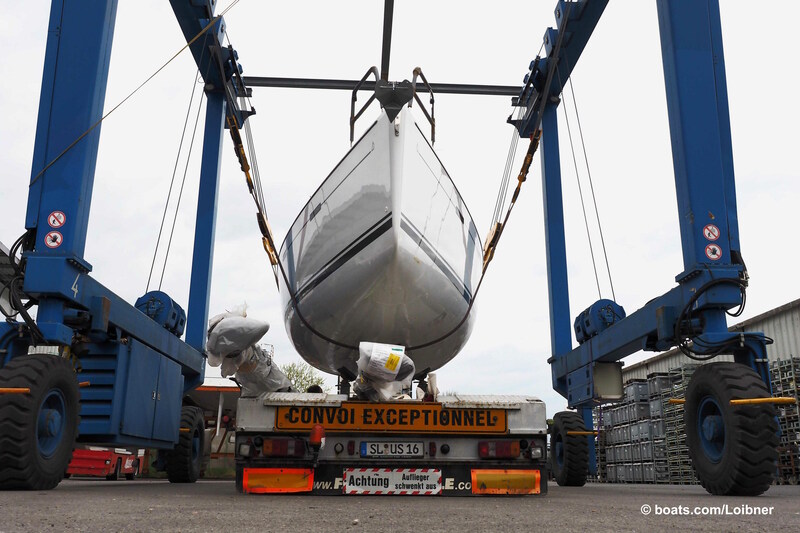 Another Hanse is loaded onto a trailer before it can be trucked to the new owner. 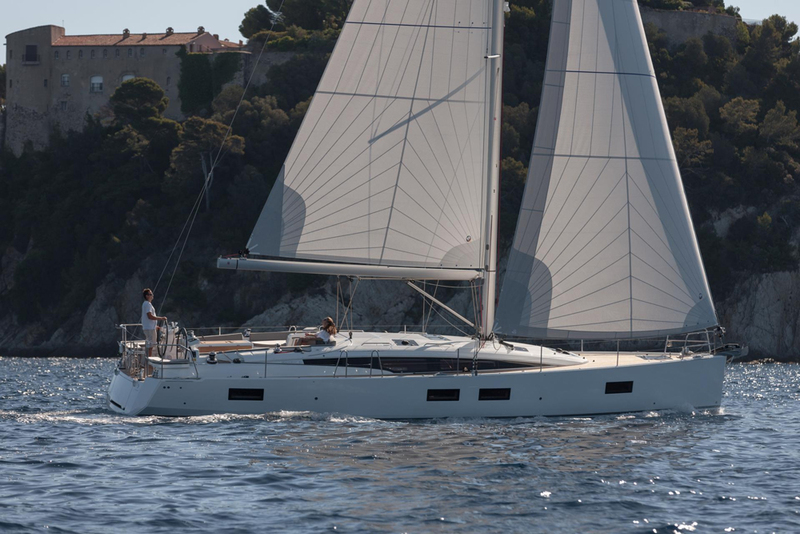 Read our Hanse reviews of the Hanse 588, Hanse 505 or Hanse 445, or see the Hanse listings on boats.com.